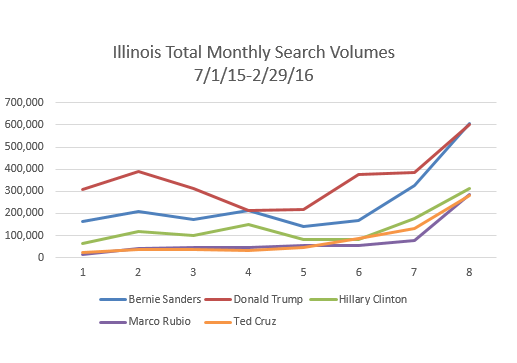 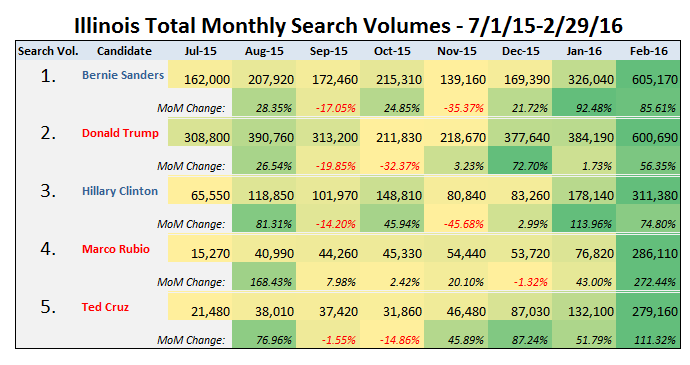 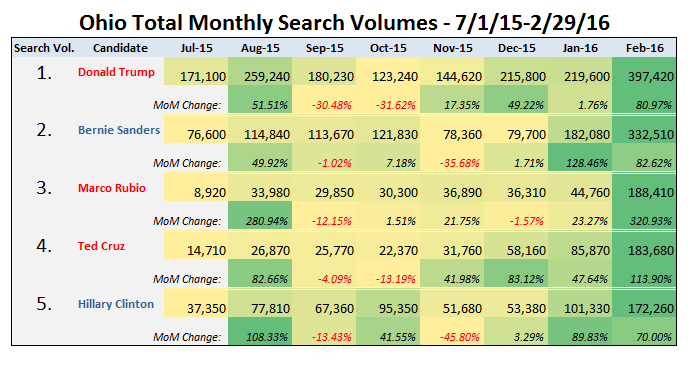 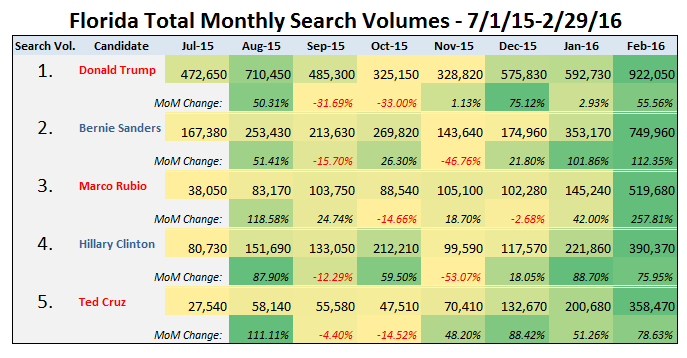 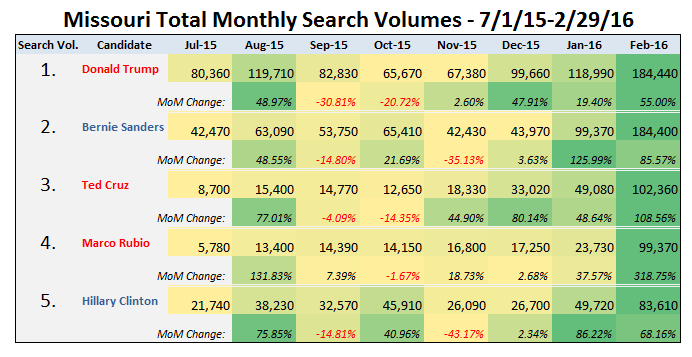 Ahead of the March 15 primaries, iQuanti pulled monthly search volumes for the candidates by state from July 1, 2015 through February 29, 2016. 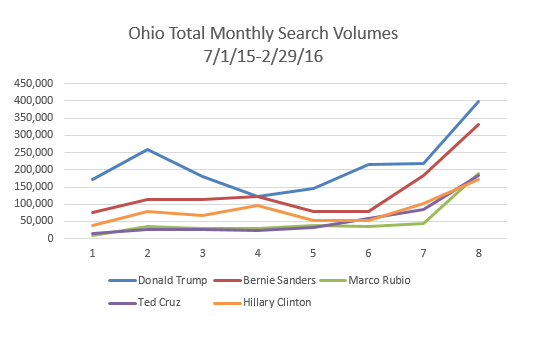 Due to errors with the reported Google search volumes for Republican John Kasich, data for the candidate was excluded for this round of findings. 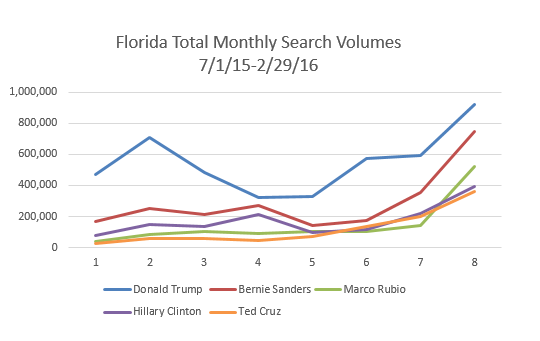 During February, Trump led Republicans in all searches in today’s primary states. 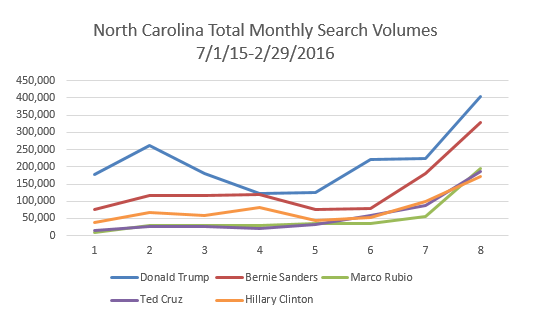 Rubio pulled ahead of Cruz for these states in during the month, excluding Missouri where Cruz had a slight lead. 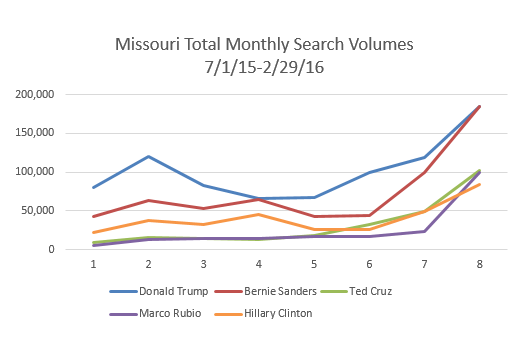 However, searches for Rubio in Missouri nearly tripled during February, compared to Cruz’s 100 percent month-over-month growth for the month. 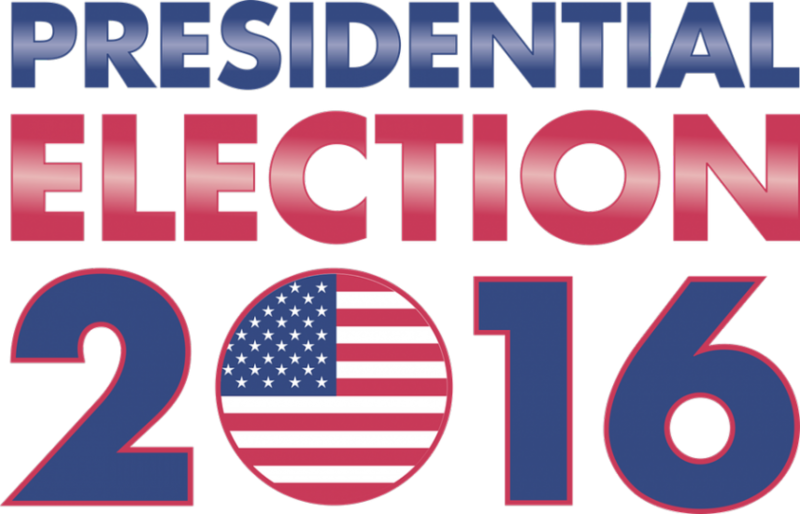 For the Democrats, Bernie Sanders leads in all of the states. 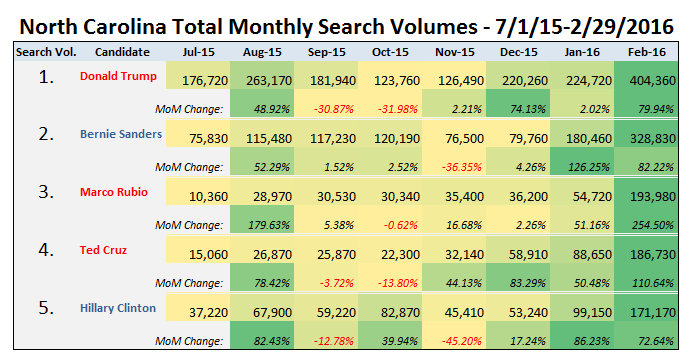 While month-over-month growth in searches around the Democratic candidates hovered at about 70-85 percent for both, interest in the lower-ranking Republican candidates grew faster in Missouri, North Carolina, and Ohio during February, pushing Hillary Clinton to last place in rankings for those states (no data for Kasich).